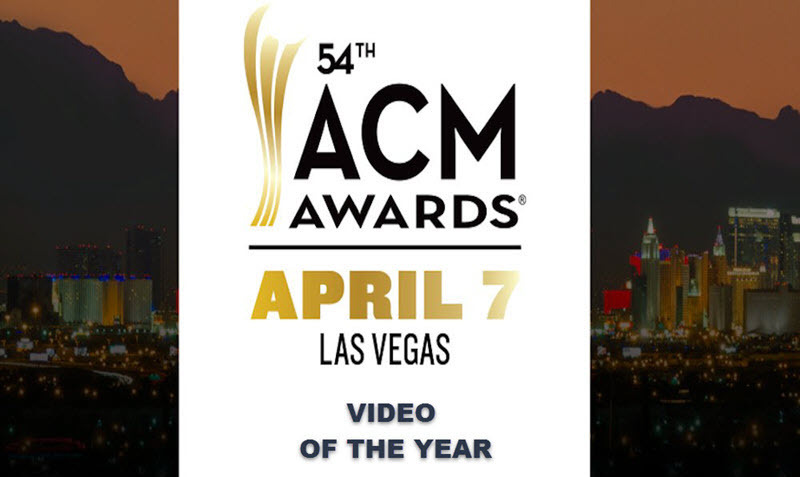 2019 Academy of Country Music Awards nominees for Video of the Year are Babe – Sugarland featuring Taylor Swift, Burn Out – Midland, Burning Man – Dierks Bentley featuring Brothers Osborne, Drunk Girl – Chris Janson, Shoot Me Straight – Brothers Osborne, and Tequila – Dan + Shay. Here’s a look at each of the contenders. The winner will be announced at the ACM Awards live from Las Vegas on April 7, 2019. Sugarland and Taylor Swift are both HUGE names in country (and pop) music. T-Swift bringing in hits like Our Song and Fearless, Sugarland with Stay and Stuck Like Glue. There’s no question as to why this song blew up the way it did, and the video was the cherry AND sprinkles on top. The era-themed video, the gorgeous costumes, AND a heartbreak anthem? We wouldn’t be surprised if this one took home the win. Midland is a relatively new band, forming in 2013 in Dripping Springs, Texas, and has already achieved so much success and continues to climb in popularity. 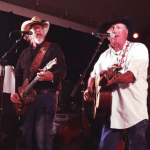 The band “blends their voices to produce country music that recalls a mix of George Strait, Urban Cowboy and Seventies yacht rock.” according to Rolling Stone, and we can definitely the see the inspiration in their music! Cameron Duddy used music as a way to cope with hardships growing up, Jess Carson grew up in a country music-making family and lead singer Mark Wystrach went from being a male model and actor, to turning out country hits like it’s nobody’s business. Dierks Bentley and Brothers Osborne are in the prime of their careers as of now, and their song “Burning Man” proves it. The beautiful scenery, the film style, the lyrics and the talent, this video is a recipe for an ACM win. Brothers Osborne released their EP in 2013 while Dierks Bentley had a 10-year head start. Bringing their vocal stylings together gave us a hit that we can’t stop playing a video we can’t stop watching! Chris Janson tackled some sensitive topics with this one, and we are so impressed with the way he acknowledged them. The song itself is beautiful, and the video even comes with a disclaimer in regards to some scenes that are honestly a little hard to swallow. It’s not often that a music video can really make you deeply feel something, given they’re usually only a few minutes long without a lot of context, and that’s one of the many reasons we can see ourselves rooting for this one to take home the win. Brothers Osborne are quite the pair, being humorous, musically inclined, and great performers. They bring a different kind of music to the country table, that’s refreshing and exciting. From Let’s Go There to Port Saint Joe, their songs are only getting better and better– and their videos are pretty entertaining themselves. Could this be their year? This music video currently sits at just over 64 million views, and when it first came out it had everyone talking, whether they were country fans or not. It’s beautifully shot, and tells the love story between a skier and a hiker who meet in the mountains of COlorado. We quickly learn that the hiker (Nyle DiMarco) is deaf, an the coolest part? The actor is a true-life deaf activist. How often do you see something as authentic is that in music nowadays? The song itself is absolutely beautiful (one of my personal, all-time favorites), but the video adds an entirely new level of depth to this viral hit, and we’re going to go ahead and put our money on this one claiming the title of Video of the Year! Check out the full list of 2019 ACM Awards nominees. The ACM Awards will be broadcast live from MGM Grand Garden Arena in Las Vegas on Sunday, April 7 at 8:00 PM ET/PT on CBS. Who’s your pick to win Video of the Year?